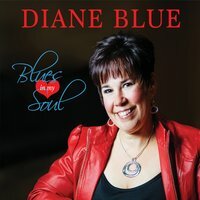 I just received the newest release, Blues In My Soul, from Diane Blue and it's really good! Blue has teamed up with blues guitar superman, Ronnie Earl and it's a beautiful match. Opening with That's What They Call The Blues, a wicked loper, Blue throws out some ultra thick vocals and Earl unleashes the dog on his strat. Joined by Lorne Entress on drums, Dave Limina on keys and Jesse Williams on bass, this track is a killer. On Nina Simone's Do I Move You, Blue gets into a more introspective space with nice piano work from Limina and a really nice guitar solo from Bobby Gus. Bobby Womack's Nothing You Can Do has a gospel swing featuring yet another side of Blue's voice and backed by John Moriconi on trumpet and vocals, Scott Shetler on sax and soul style vocal backing by Toni Lynn Washington. Excellent Lil Green blues track, In The Dark is on of the absolute standout tracks on this release. Blue stands solid delivering a modern vocal rendition of this classic blues number, backed by Mr Earl. 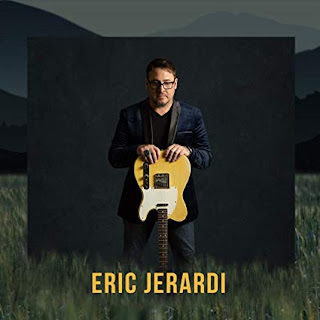 Limina adds just the right balance of piano and B3 over Gus' rhythm chords as Earl plays some of the most soulful lines you'd ever want to hear. Excellent! Another track made famous by Nina Simone, I Love Your Lovin' Ways gets a strong R&B flavor. This is a great switch up after such a soul searcher and Gus lays in some real tasty guitar riffs over the hot key work of Limina and great vocal blending of Washington. Someday Soon opens with a beautiful B3 intro by Limina and staying in the R&B vein, Blue's vocals, complimented nicely by Shetler on sax leads to a nice harmonica solo by Blue herself. Gus spanks the guitar with his beautiful articulation on this track giving it a definite blues kick. Excellent! Aretha Franklin's Soulville, has a real 60's sound with hot sax work from Shetler and trumpet highlights from Moriconi. Following a fun track another Franklin track, Today I Sing the Blues, an absolutely excellent rendition of the queens classic. Is Blue Franklin... no. She doesn't need to be. She is an excellent singer and does an excellent job on this track teamed up again with master guitar man Ronnie Earl. Masterful gospel style B3 from Limina adds just the right amount of tension and Earl drives this train right up to the edge. Excellent! Another track made popular by Nina Simone, Day and Night, gets a lighter pop touch with a driving bass line from Williams, and cool guitar riffs by Gus and harmonica from Blue woven throughout. I Can't Shake You is a solid soul track featuring warm, heartfelt vocals from Blue. Earl, controlled but ever on top, plays really nice guitar solos throughout the track as punctuating landmarks in a war sea of sound created by Limina on keys. More to a country 2 stepper Blue pulls out Man About Town, a track that could easily see cross radio play. JLL style piano work by Limina is off the hook with tight drum work from Entress. Driving bass lines by Williams and Blue's own harmonica work highlight the track, topped off by Gus' flashy rock styled guitar riffs. Ballad, Cry Daddy,is another track that could easily be radio bound. Rich B3 backing throughout and a nice guitar solo from Gus gives the track additional texture. 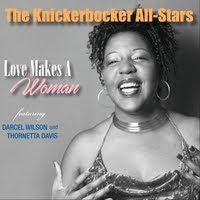 Wrapping the release is a funky Koko Taylor track, Jump For Joy. Blue trades vocals with Washington on this horn saturated track and a cool bass solo from Williams is a nice intro to Limina's B3 interlude. 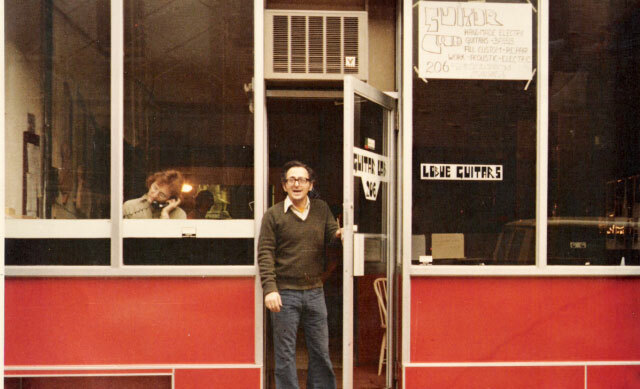 Moriconi and Shetler add horn punch and Earl steps up with a smoker of a solo of his own. Solid conclusion to one of the best releases I've heard this year!